This weekend’s snow gave me an opportunity to hunker down at my sewing machine and work on my bias tape quilt. As I worked on the quilt, I started to wonder about what other quilters have made using bias tape. Most of the time bias tape is used in binding a quilt or for the stems of appliqued flowers. But there are modern quilts that feature bias tape as the main design. Here are three modern bias tape quilts that make my heart flutter! 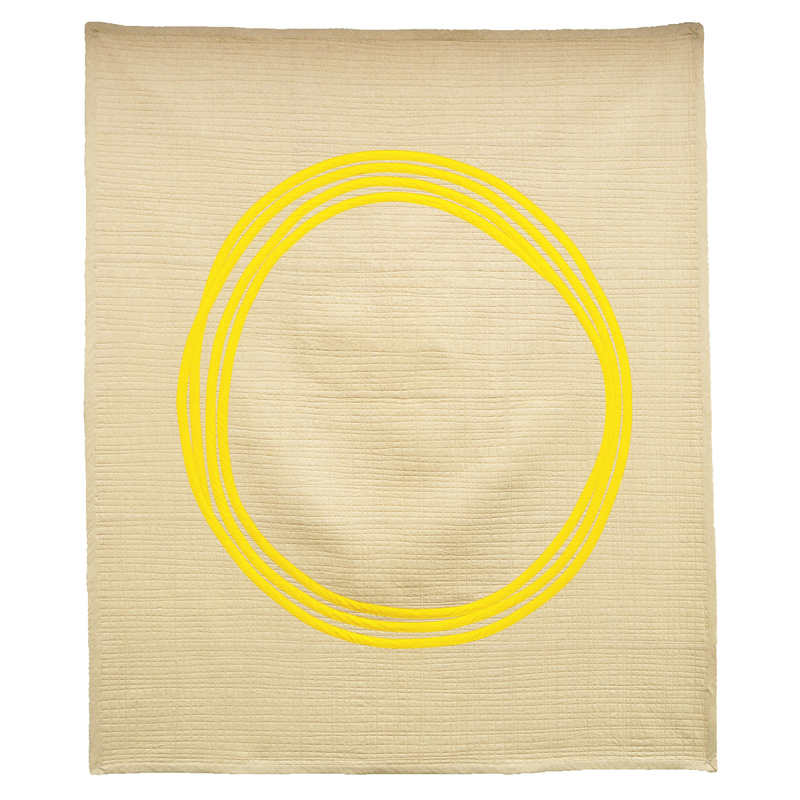 In this quilt, the bias tape is placed in overlapping circles that form a big “O”. I love everything about this quilt: the minimal design, the randomness of the overlapping circles, the texture of the background stitching, the bright yellow contrasting against the tan background, and of course, the perfect name. With Rocket 88, I love the different fabrics, the balance of the figure eight shapes in a staggered design, the 8’s that extend off the edge. 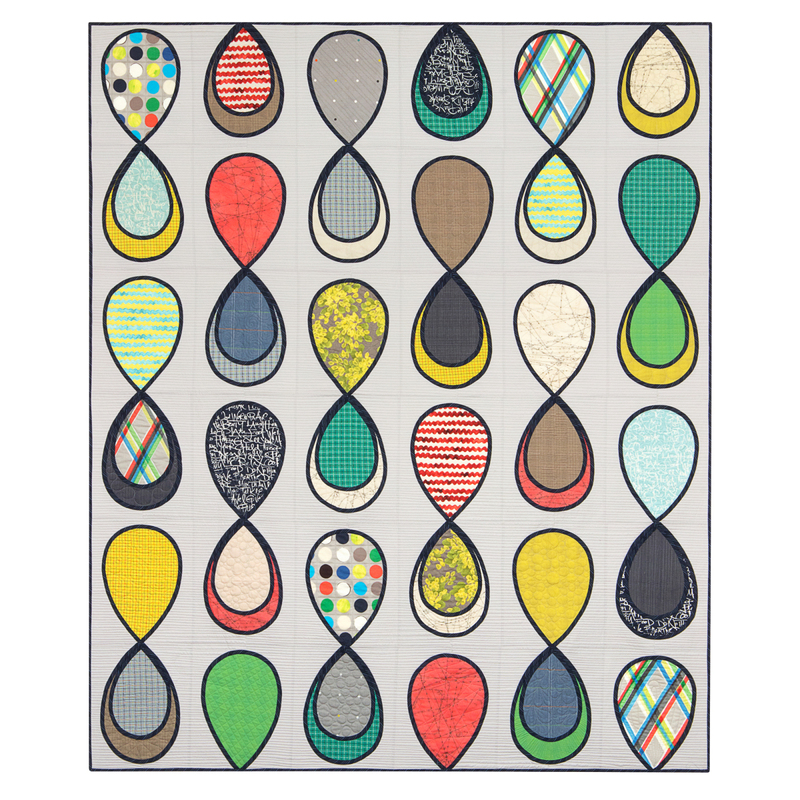 In this quilt, the bias tape serves as an outline of the figure 8 shapes. Simply brilliant! This photo is of a quilt in progress that I first saw on Instagram. 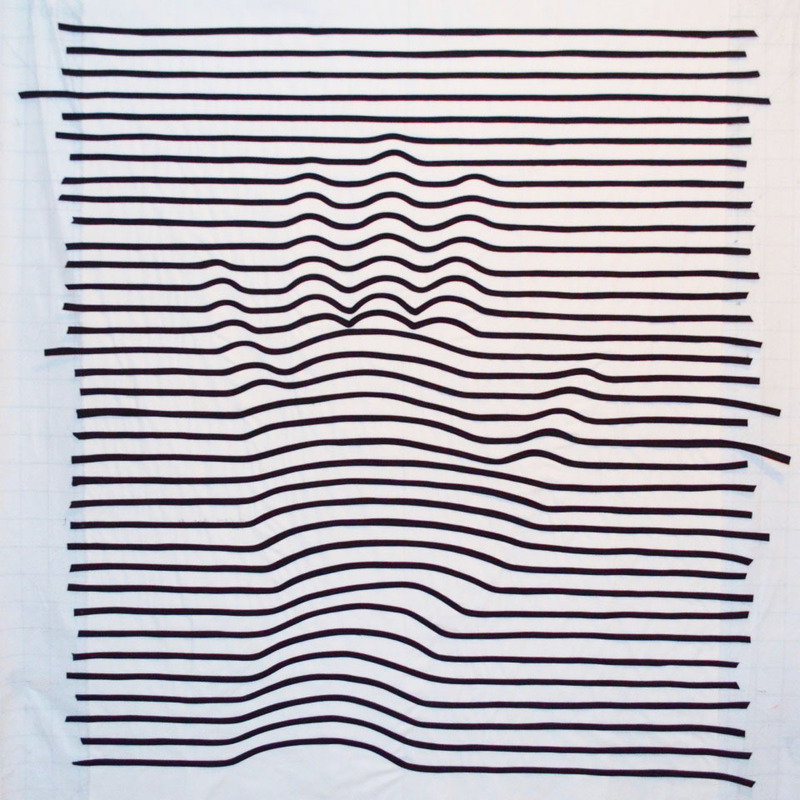 The artist, Jennifer Johnston, projected a shadow of her hand onto the fabric and used the bias tape to outline the shadow. In doing so, she creates an image that appears three-dimensional. It’s as if the hand is coming out of the quilt. Again, simply brilliant! I’ll be staying tuned to Jennifer’s IG feed to see the finished quilt. These quilts inspire me to see what else I can do with bias tape. Clearly, bias tape is not just for garments or quilt binding! What will you make with bias tape? Awesome! Thanks for sharing. I love working with Bias tape. The hand is really cool! wow. Indeed these tempt me. Thanks for sharing Nicole! All are just goregeous! I may have to give this a try! These are amazing. Thanks for a great roundup. I had only seen the second one on IG. How cool are these? I've used a lot of bias tape through the decades for garment sewing–but this–wow! We got a lot of snow. 3 feet. But the sun is out, and I am doing the usual, chores, sewing and random internet surfing. Looks like fun…great ideas with the bias. These are great examples, thanks for sharing!